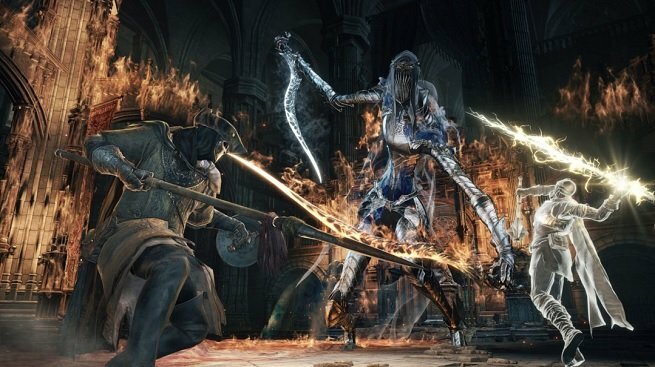 From Software, the studio that brought you genre-defining masterpieces like Dark Souls and Bloodborne, is working on multiple unannounced projects. In a recent interview, From Software president Hidetaka Miyazaki confirmed that the current development pipeline includes work on Deracine, Sekiro: Shadows Die Twice, and two games that have yet to be revealed. The phrase “From Software-esque games” is what has everyone buzzing, because when people think about From Software, they of course think of the Dark Souls games and of Bloodborne. To say that their next two projects are From Software-esque seems to hint that they will be more like those games than not. Keep in mind, though, that this does not necessarily mean that we’re getting a sequel to Bloodborne, which is what everyone assumed at first. We’re pretty sure that Miyazaki wants to leave to the Dark Souls series behind and do something different, so our bet is on a new IP (or two). We’ll keep our ears to the ground and report back as soon as we hear more details, so stay tuned!